SkypeHide tool promises to allow you to send secure messages. Concerns about Skype’s ability to eavesdrop on calls have put off users who prefer secure communication. But there could soon be a new way to ensure your calls made with the chat service remain private: by using it to send secret, silent messages. A team of researchers at Poland’s Institute of Telecommunications in Warsaw have invented what they are calling “SkypeHide.” It is a method of hijacking data packets of silence that are normally sent while using Skype, then injecting them with encrypted text, audio, or video that can be decoded by the other user. “The secret data is indistinguishable from silence-period traffic, so detection of SkypeHide is very difficult,” Wojciech Mazurczyk, one of the researchers, told the New Scientist. 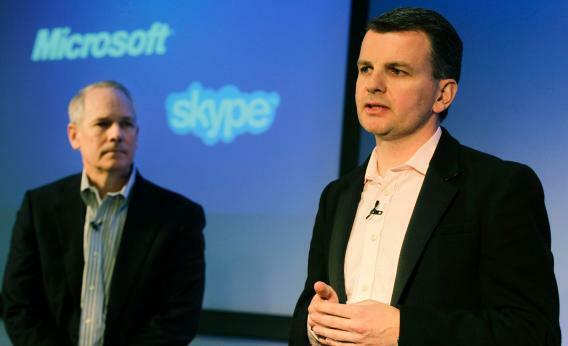 Last year I reported that Skype has evaded questions over its ability to eavesdrop on calls. Today, it still remains unclear whether Skype is actually in a position to “wiretap” audio and video chats if under order issued by a law enforcement agency. But as public pressure and criticism builds, it seems inevitable that the Microsoft-owned company will sooner or later have to divulge exactly what kinds of data it can intercept. And even if it turns out Skype isn’t in a position to intercept calls now, there’s nothing to stop it introducing an intercept function in the future. In the meantime, the Polish researchers are poised to cash in. Mazurczyk told me by email that his team are currently in contact with some companies and “may plan to commercialize SkypeHide as a Skype add-on.” The researchers are scheduled to present a prototype of their invention at a conference on steganography—the art of writing hidden messages—in France later this year. We will have to wait until then to discover whether the technology actually does what it claims—and whether it is easy enough for anyone other than tech-savvy scientists or secret agents to use is another question. (It might be simpler to take advantage of encryption-based Skype alternatives like SilentCircle, Jitsi, or Redphone.) Either way, sending silent messages over Skype is a fascinating idea that illustrates how the threat of surveillance, and the basic human desire to be able to communicate in private, is fueling a new generation of ingenious innovations.